Some books I read and while I enjoy them, I don’t remember them for very long. Then there are books that I continue to think about long after I finish reading them. Educated is a memoir by Tara Westover that I will remember for a long time. Tara Westover was raised in Idaho by separatist parents. Tara’s father dominated their family with his anti-government beliefs. He was convinced that the Feds were coming to get them and that the end of the world was coming soon. He had the family store away food, gasoline and other supplies in preparation for the end times. They were not allowed to go to doctors even when they suffered life threatening injuries. While some of her older siblings received some public education, Tara never attended school. They told people they were home schooled, but there was very little schooling that occurred in her home. She watched as other kids went to school and eventually one of her older brothers left their home and went to college. As an attempt to get away from an older brother who abused her, Tara realized she needed to go to college. 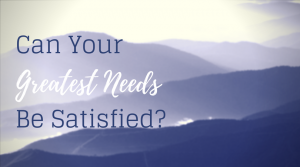 With the encouragement of the brother who went to college, Tara decided she would take the college admission test to get into Brigham Young University. Over time Tara taught herself enough math and science to pass the ACT. She was admitted to BYU and at seventeen years old she walked into a classroom for the first time in her life. Can you imagine your first education experience taking place in college? When she gets to college Tara begins to understand how little she knows about world events. In a startling scene in one of her college classes Tara was introduced to the Holocaust for the first time. Tara went on receive a high level education while dealing with many family conflicts. This book will amaze you as you read about her attempts to separate herself from her family and follow her dreams while trying to remain connected to them. This book brings to light the importance of family, but the challenges that family can sometimes present. 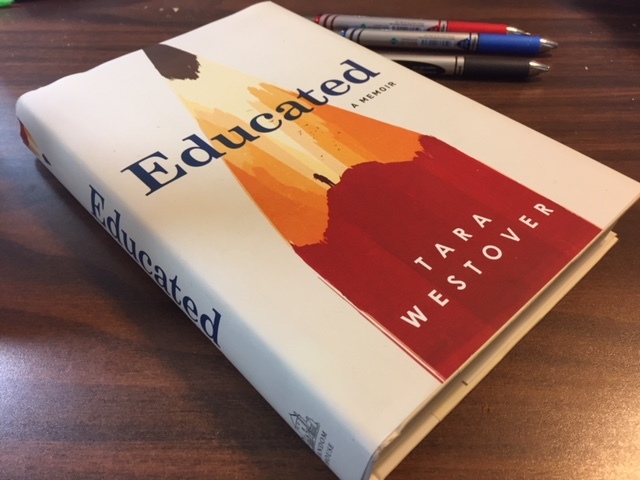 If you enjoy reading memoirs I think you will enjoy Educated by Tara Westover. I would love to hear what you think if you get a chance to read this book. 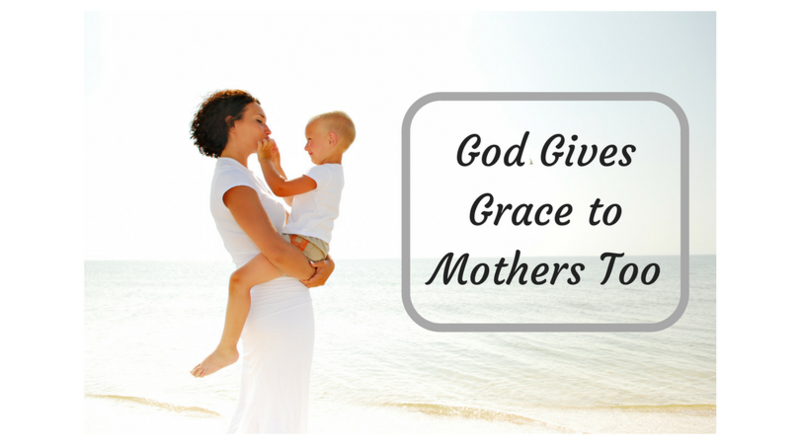 I just want to remind tired, frustrated, worried moms that God gives grace to mothers. The fact is, there is not one of us who will parent perfectly and we need to remember that God forgives our mess-ups. We will make mistakes. We will raise our voices too often, we will let them eat too much junk food, we will let them watch a lot of TV, we will give them too many things. Cereal will be the dinner of choice too many times. We will have times when we discipline too harshly and times when we will not discipline enough. We will not always be the spiritual example we need to be. And when they get older, our children will make decisions that make us question everything we did. We will hear ourselves saying things such as, “Didn’t I teach you better?” We will second guess how we raised them and we may even have regrets that keep us up at night. It is at this time we need to remember that we have a kind, compassionate, loving Father who gives grace for our mistakes and shortcomings. 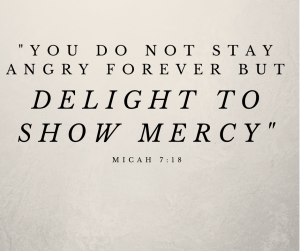 Micah 7:18 “You do not stay angry forever but delight to show mercy.” We serve a God who delights in showing us mercy. God’s mercy allows us to forgive ourselves and wake up the next day and do it better. We need to remember that God gives us grace, and we also have to remember to give grace to one another. 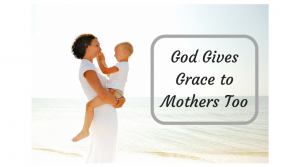 It can be a temptation to look at other mothers and see their mistakes. It is easy to judge the mother at McDonalds who screams at her children, or the mother at church whose child is the terror of all terrors. We wonder what a mother did wrong when her teenager rebels and makes poor decisions. We need to give grace and remember that there may be things going on that we don’t know about. Maybe someone doesn’t discipline like you do because they were not raised the same way you were. Maybe they are having a bad day and you see them at their worse. Maybe their child has needs and challenges we don’t know about. Maybe that mom is tired and worn out because she doesn’t have the support at home of a loving husband. 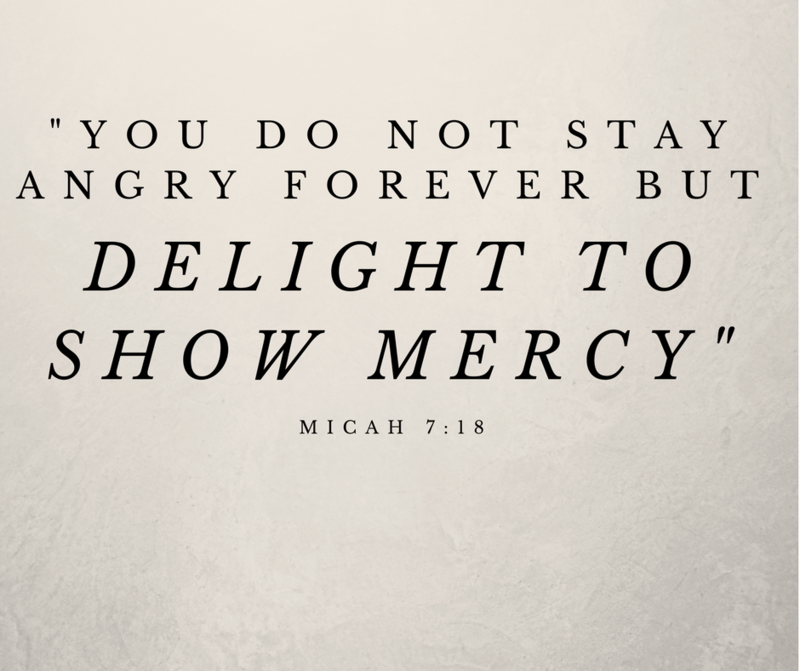 Just as God delights in giving mercy to us, let’s learn to give mercy to one another. 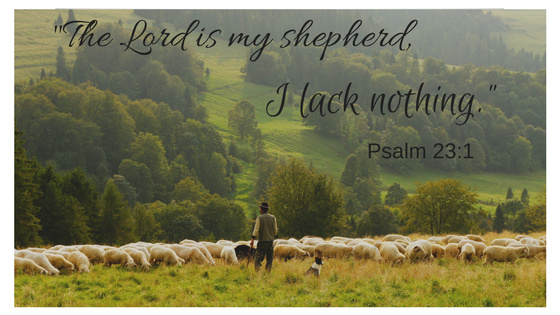 Do you struggle with remembering God’s grace and forgiveness? Do you worry about parenting perfectly? I love the Super bowl. I know I have written my last two posts on how I love the Olympics, but I really love the Super Bowl. Even when my team, the Cowboys, are not playing I love to watch the Super Bowl. And I am not one of those I only watch the Super Bowl for the commercials people, I watch the Super Bowl to watch football. One reason I like Super Bowl Sunday is because I like eating food with my fingers that I would never prepare and call diner any other night of the year. We eat food like chips, dips, queso and wings at our Super Bowl party and calories don’t count on Super Bowl Sunday. This year my husband was out of town so it was just going to be me and Mikayla for Super Bowl Sunday. I told her she could invite some friends over since I was going to make a bunch of food and we needed some people to help eat it. For the first time ever I watched the Super Bowl with 5 15 year old girls, or should I say I watched the Super Bowl and they talked. Let me tell you, it was the loudest Super Bowl party I have ever been a part of. I watched the game and they played games and talked about boys. I don’t think I heard a word that was said by the commentators about the game because the noise level in my house was equivalent to watching a football game next to a jet engine. I have to say, it was a fun day. I love having Mikayla’s friends in our home and I love hearing what 15 year old girls like to talk about. I want our house to be a safe place for teenagers to hang out. I want it to be a place where they can feel comfortable, where they can talk about boys and anything else. In a world that offers very few safe places, God offers to be our safe place. God invites us to come into his house, eat his food, take off our shoes and get comfortable. He offers us a place to sit and talk about whatever is on our mind. He lets us sit in silence or to be as loud as a bunch of 15 year olds. Psalm 18:19 says, “He led me to a place of safety; he rescued me because he delights in me.” Just as I delight in Mikayla and in her friends, God delights in me and in you. He delights in who we are, not in who we will one day be, but in who we are right now. We may have people who like us and enjoy being with us, but there is no one who delights in being with us more than God delights in being with us. We don’t have to impress him, we don’t have to prove anything to him, we get to just be. 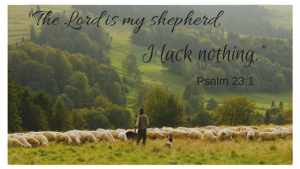 Do you allow God to be your safe place? Do you rush daily to be in his presence? 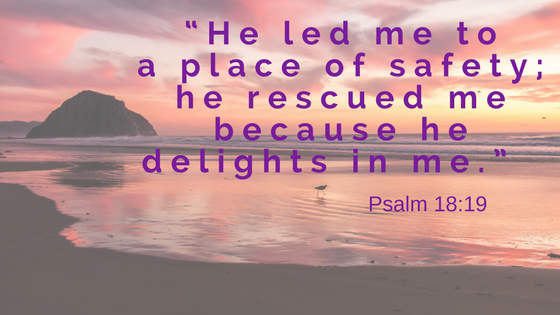 God wants us to come to him, enjoy his presence and allow Him to be our safe place. I love watching the Olympics. I find it exciting to watch the different Olympic sports. Watching people get on a board, lay on their back and slide down an icy track is so exciting to me. Maybe that’s because it looks absolutely crazy. And then there is the ski jump. Who was the first one to decide they would go as fast as possible down a hill and then jump off it? I don’t know, but I will watch. And that whole curling thing. Who thought there would ever be a sport where the broom like the one in your kitchen could be used in a sport? Who doesn’t want to watch grown men sweep ice? For some women this may be a rare time they get to see a man use a broom. While the events are great, what I love most of all are the athletes. I am inspired by two qualities in these athletes – the way they wait and persevere. Lindsey Vonn is one of the most decorated female skiers of all time. She has won four World Cup championships and she won the gold medal at the Vancouver Olympics in 2010. Due to a long list of injuries, Lindsey has had to wait eight years to get another opportunity to compete in the Olympics. Eight years seems like a long time to wait, especially in a culture where we don’t like to wait on our microwave popcorn. I think I can safely say, waiting is hard for most people. We don’t like waiting in line, or waiting on food. We hate waiting in traffic and we don’t want to wait at the DMV. As Christians, we wait for answers to our prayers. We wait for the the fulfillment of God’s promises, some of which we will never see fulfilled here on earth. We wait for Christ’s return. We wait for God’s will to be done. We wait for people to change. We wait to see God working in our world. We wait for God’s salvation. We wait on God’s timing which often is not our timing. Waiting can be hard and frustrating, but like athletes who continue to train, there are things we can do while we wait. First, we pray. Prayer is the best training we can do while we wait. Sometimes, prayer can feel so helpless, but it is the most powerful thing we can do. 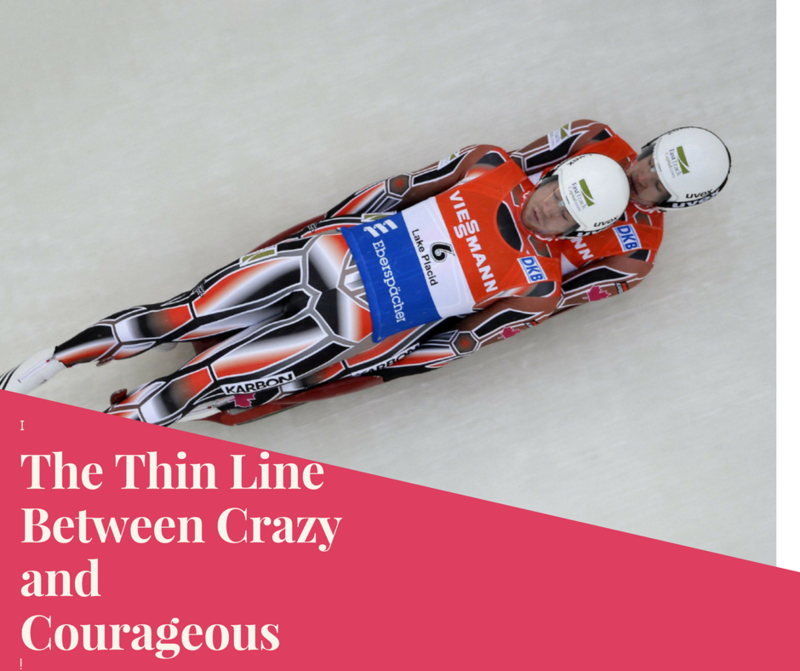 Cross country skiathlon may not be one of the most watched events in the winter Olympics, but the story of the gold medal winner in this years Olympics is a story of perseverance. Simen Kruger went into this Olympics as a favorite to win a medal. He had a World Cup win in December, but his Olympics did not get off to a good start. Shortly after the race began, Kruger fell and two other athletes fell on top of him. As all the other skiers took off, Kruger was at the bottom of a pile of skiers, skis, and poles. It was a tangled mess of people, poles and skis and in the pileup Kruger broke his pole. After untangling from the mess and getting a new pole, Kruger was in last place. Gradually, Kruger caught up with the rest of the field. He then passed all the other skiers and won the gold medal. Kruger said that after the initial fall he thought his race was over, but he got up and kept racing. The writer of Hebrews says, “Let us run with perseverance the race marked out for us.” It takes perseverance to run this Christian race. Perseverance means we keep going when tragedy strikes or when trials come our way. No one plans to fall during their race, but we will all fall at some point. Getting up after we fall and continuing the race is what God calls each of us to do. When you watch the Olympics, think about the athletes had to wait and persevere to make it to the Olympics. Remember, wherever you are and whatever God has called you to in this Christian walk it requires waiting and perseverance. What other lessons have you learned from Olympians? 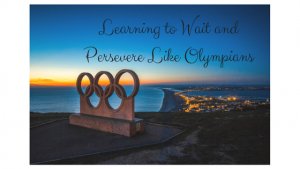 How good are you at waiting and persevering? Which of these is more challenging for you? 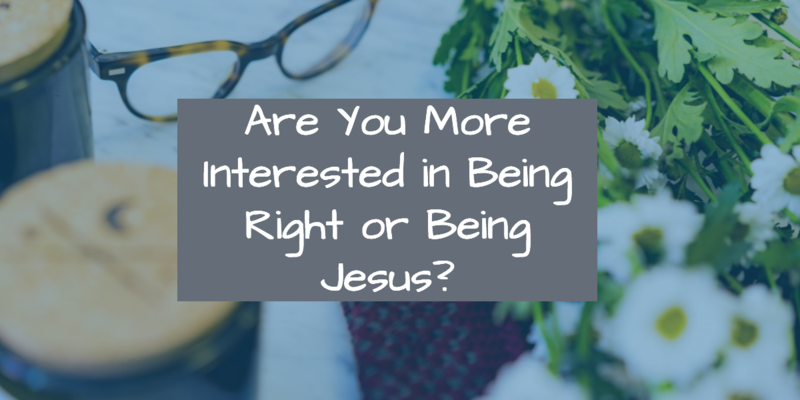 What would our world look like if Christians were trying to be Jesus rather than trying to be right? How would our world be different if we stopped debating, stopped arguing, stopped demanding our rights, and just acted like Jesus? When we look at Jesus we see him doing a lot of things that we can learn from, but being right was not one of them. If Jesus had been interested in being right we would see him debating and arguing with the religious leaders of his day. Instead, we see Jesus caring more about people than caring about being right. If we want to be like Jesus here are two things we can learn from him. The first thing we can do is to love the unloveable. You don’t have to look very hard to see how Jesus loved the unlovable, the outcast. Jesus spent time with outcasts such as, Samaritans, lepers, tax collectors and women. One memorable occurrence was the day Jesus met a Samaritan woman at a well. This woman who had several strikes against her – she was a Samaritan, she was a woman and her record with men was not great. It is easy to see in this story how shocked this woman was that Jesus wanted to talk to her. Jesus spent time with her and it changed her life as well as the lives of many in her town. Jesus calls us to love the outcasts in our world. Think about those in your community who Jesus would spend time with if he was here. Would he visit the homeless shelter or hang out with the guy on the street holding the cardboard sign? Would Jesus visit the sick in the hospital? Would he visit the widow in your neighborhood who feels so alone? Think about who Jesus would spend time with in your community and make a point to talk to them, visit with them, say hello and let them know you care. I hate interruptions, especially when I have a lot to do. I think one big, maybe huge, difference between me and Jesus is that he embraced interruptions. Jesus woke up every day knowing he had a lot to do. He was sent to this earth with some very important objections. He came to show us God, he came to show us how God loves the world, and ultimately he came to redeem all of mankind. When we read about Jesus days on this earth we see that he was constantly interrupted. One of those times Jesus was interrupted is recorded in Mark chapter 5. Jesus was on his way to heal a young girl. There was a high powered man whose daughter was sick and Jesus was headed to heal her when he was interrupted by a sick woman. Jesus was walking through a very crowded area when he stopped and asked, “Who touched my clothes?” It was a crowded area and it could have been a number of people and that is what his apostles pointed out to him. But Jesus knew that someone had touched him and they were healed immediately. That is when the woman who had been bleeding for twelve years stepped forward and admitted it was her. Doctors appointments, illness, broken things, upset people, telephone calls and many other things can all be interruptions in our days. Interruptions usually mean a change in our plans. The interruptions in our lives may be God’s way of getting our attention. The next time your plans are interrupted, stop and ask God to let you see what he wants you to see or learn in the interruption. If we want to be Jesus in our world we need to learn to love those who are outcasts and embrace the interruptions that come our way. Which of these do you struggle with, loving the unlovable or embracing interruptions? To read more about some of the women Jesus encountered check out my book Changed by Jesus. I love reading historical fiction. It is fun to learn a little history while reading a great story at the same time. 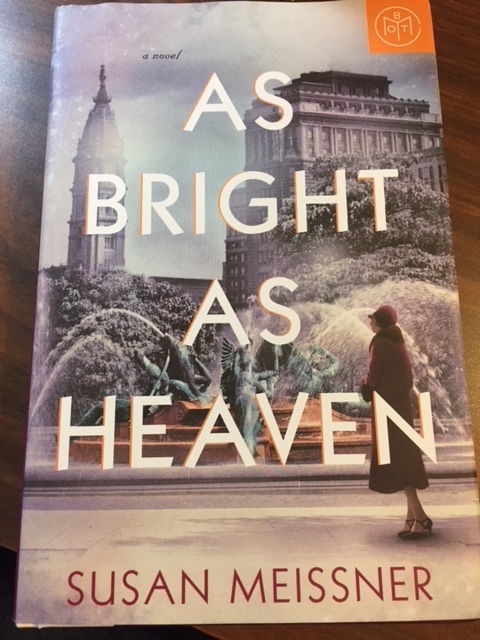 I recently finished a great new historical fiction book by Susan Meissner, As Bright As Heaven. I have read several of Susan’s book including Secrets of a Charmed Life which I highly recommend, but I think this was my favorite of her books. This story is set in Philadelphia in 1918 as the flu epidemic is sweeping through the city. Meissner says she chose Philadelphia as the setting because over twelve thousand people died and it was one of the hardest-hit American cities during the flu epidemic. I found this book very interesting because the father and the uncle in the book are in the funeral business. I haven’t read many books where the profession of the central characters are morticians. It works so well in this book because death and the toll it takes on so many is an important message in this book. This story is told through the mother, Pauline, and her three daughters. I think you will really like the four women in this book. Meissner is an excellent writer who writes a great story in a historical setting. 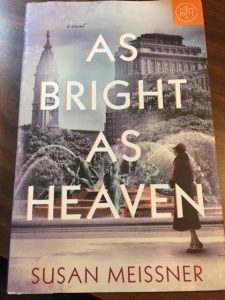 I highly recommend As Bright As Heaven if you love historical fiction with strong female characters. Let me know what you think if you get a chance to read this book. I remember it like it was yesterday, even though it was almost 20 years ago. My husband and I moved to a new city and we were looking for a new church. After visiting several churches, we found one we thought would work for us and our family. We began attending the church and I decided I was going to attend the ladies Bible class on a Tuesday morning. I believed the ladies class was a great place for me and my young son to get to know some people. I went to the class and sat down between two young moms, It became very obvious that they were good friends as they began to talk to each other. They did not say one word to me, but proceeded to have a conversation around me like I was not there. I have never in my life felt so invisible. I went home, cried and thought I would never return to that class because I felt less lonely at home by myself than I did in that class that day. Have you ever felt that way? Have you ever been in a crowd and felt invisible? Have you ever felt alone and felt like no one cared or even knew you existed? There is a woman in the Bible who felt that way. Hagar, the maidservant to Sarah, believed that no one loved her and no one cared. Hagar had good reason to feel that way, because that was how she was treated. Hagar’s story is recorded in Genesis chapter 16. Abraham and Sarah could not have any children because Sarah was barren, but God had promised them many descendants. How do you have many when you can’t have one? After many years of struggling with infertility, Sarah devised a plan where Abraham would have a child through Sarah’s maidservant, Hagar. Sarah believed that she and Abraham would build their family through this Egyptian slave girl, but Hagar did not want to give her baby to Sarah. The conflict in the household became so great that Hagar ran away. Hagar, a pregnant slave girl who was living very far from her home land, was so desperate to get out of that household that she ran away. No plan, no place to go, no money, no food and no one to help and Hagar was on her own. She was unloved, and she had people in her life who only wanted to use her for what she could give them. Hagar must have felt invisible. Tired, hungry and alone Hagar found herself in the desert. That’s when God showed up. This is how the scene is described in Genesis chapter 16:7-13. Hagar was so overwhelmed by this God who saw her that she gave him a name. Can I venture a guess right here and say I think maybe this was the first time in her life that Hagar felt like she was not invisible. She found one who saw her and cared for her and when she did it changed her life. Second Chronicles 16:9 says, “For the eyes of the Lord range throughout the earth to strengthen those whose hearts are fully committed to him.” God is looking. He saw Hagar alone in the desert and he sees you wherever you are, whatever you are struggling with today. When have you discovered that God loves and cares for you? What does it mean to you to know that God sees you? If you want to read more about Hagar and some other wonderful women of the Bible check out my book Used by God. You can read an excerpt on my website www.danagrubb.com. What would you do if I told you there was a way to lower your stress level and improve your health both physically and emotionally? Would you want to know more? It is not a pill, and it is not a diet plan, but it is a new habit. This thing that can improve your life in so many ways is gratitude. According to the book The Power of Thanks, gratitude can help us achieve more, it can help us sleep better and it can make us more resilient to trauma. I love when studies confirm something that God told us in His word. First Thessalonians 5:18 says, “Give thanks in all circumstances; for this is God’s will for you in Christ Jesus.” It sounds like it could help us all if we made gratitude a habit. Here are three ways to help make gratitude a habit in your life. I want to challenge you to begin your day by writing down three things you are grateful for. By starting our day this way it helps us remember what bring us joy and some days we desperately need that reminder. Writing those things down also helps us learn to be intentional about gratitude. Writing things down helps us to slow down and be intentional about whatever we are writing. Writing things down also helps us remember what we are grateful for. If I need to do something and want to make sure that I don’t forget, I write it down. Writing down what we are grateful for will help us remember especially when we are struggling during the day. Start your day by writing down 3 things you are grateful for and see how that helps you focus on the good things in your life. When was the last time you received a thank you note in the mail? How did it make you feel to go to the mailbox and see your name on an envelope? We live in an email, texting world where it is easier and much faster to send a thank you note through our computer or over our phone. I appreciate receiving a thank you anytime and in any form, but it feels a little different to get a note in the mail. Maybe it is because we know it took a little more time and effort to write a note, address it, put a stamp on it and make sure the mailman picks it up. Another way to express our gratitude is to tell people thank you. I know in my life that I get busy and it is easy to forget to tell people thank you. Tell people thank you when they help you. Tell them thank you when they encourage you in some way. Tell a stranger thank you when they do their job. Take some time this week and write a note, maybe two, to someone and express your gratitude to them. 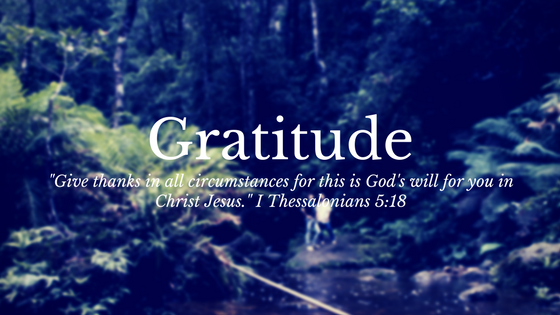 Did you notice in the scripture from first Thessalonians Paul did not say, “Give thanks for all circumstances?” Paul’s instructions were to “give thanks in all circumstances.” We all go through difficult times in our lives when it is hard to be grateful, but giving thanks in those circumstances will help get us through the difficult times. During the cancer treatment we can give thanks for the kind nurse. While going through difficult times we can be grateful for the loving friend who is willing to listen. When we are grateful in all circumstances it changes our attitude. Gratitude is God’s solution to getting through difficult times. How has gratitude made a difference in your life? How are you currently making gratitude a part of your life?